Comments: Another postcard view from the same period. Comments: Vange & Pitsea Working Man's Club. 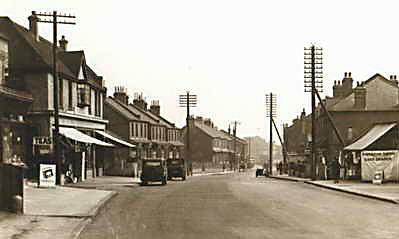 Comments: A commercial postcard view of High Road, Vange with Whytewater Avenue on the right. Note, Stewards electrical who had shops in Basildon town centre from 1958 to the mid 1960s. This page features views taken at different locations in High Road, Vange.